Watch this space for future stories and see our news column to stay up-to-date with when and where our customers are competing. 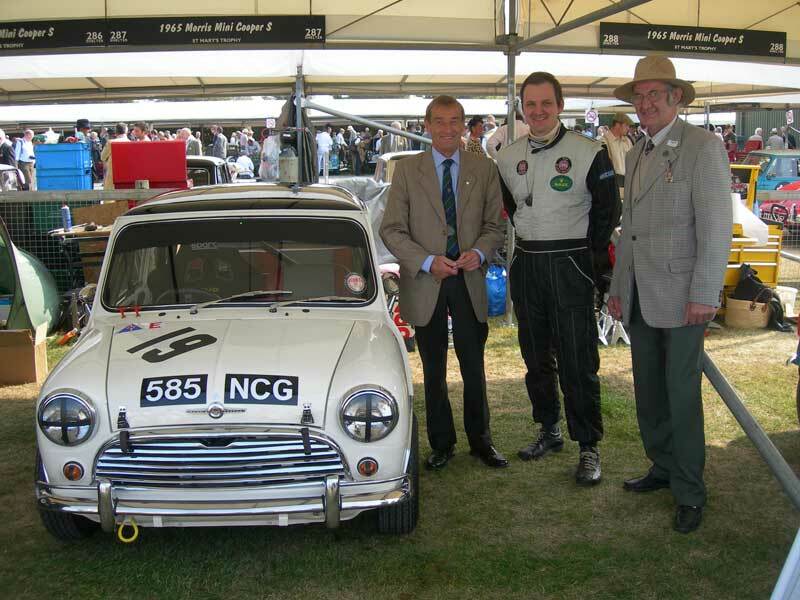 Many of our customers’ cars can be seen on the race track, at track days and rallies, from local motorsport events through to prestigious international events such as the Goodwood Revival meeting and continental historic races. 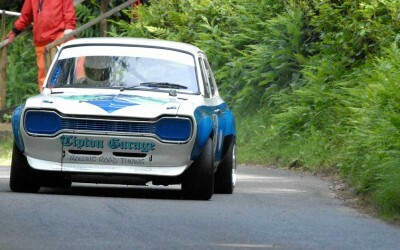 As well as Stewart Imber’s Mercedes 300 SE and Clive Harrington’s ex-works Sunbeam Harrington Alpine, mentioned below, Tipton have been represented by the 1800 cc Ford Fiesta prepared and driven by Stephen Miles, which notched up regular podium finishes in the Toyo Tyres championship. The Renault Clio Sport, Mini Club and Devon Lotus Owners Club are amongst those who have booked time at the Tipton Garage to compare the outputs of their cars on the rolling-road. The output of each car is measured on the rolling road in a run up to full power and owners are given immediate computerised results, with an output graph of torque and horsepower across the rev range. Other measurements, for example inlet air temperature and exhaust gases, can be taken, principally to check for any major variances that might lead to widely different results. 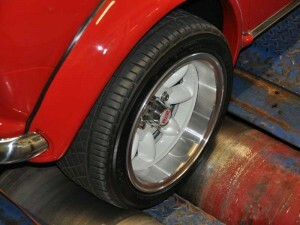 For the same reason each car can undergo two runs on the dynamometer. The results can be compared in one composite graph, showing a trace of each car’s output, a prime example of the value of comparative dynamometer testing. The graphs can show where in the rev range each specification of the basic model delivers its full power, and whether those models with after-market fitments (for example improved camshafts, exhaust manifolds and engine management systems) deliver more torque and power at lower revs, making for an easier drive on the road. 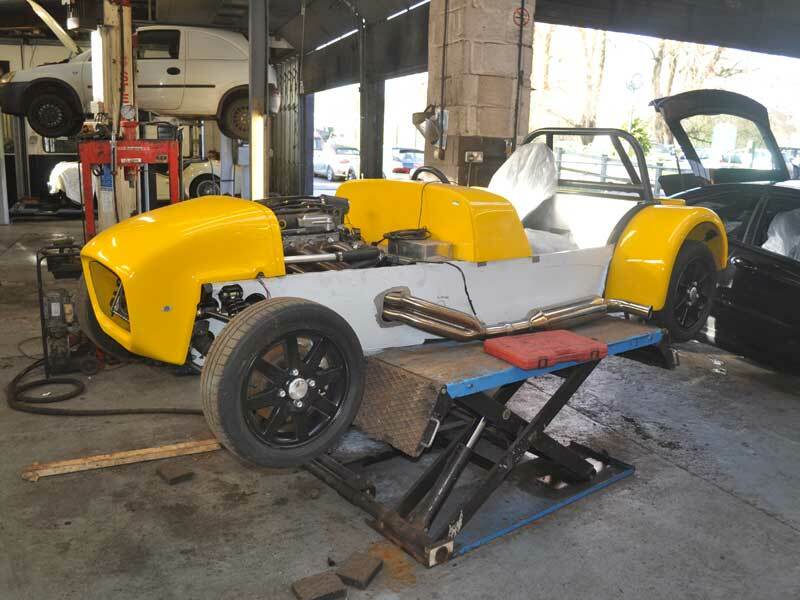 Owners are usually intrigued to see accurate and detailed data, and particularly appreciate the opportunity for an in-depth discussion after the test runs. In some cases this can be particularly valuable if the engineering team has particular experience and knowledge of the engine type. 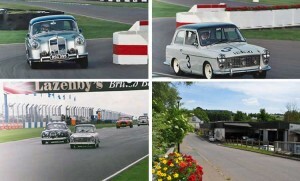 Stewart Imber raced in a number of different categories of motorsport before settling for classic saloon car racing, a section of the sport that evokes memories of the epic dices in the ‘60s between iconic marques such as Jaguar, Ford (with the mighty Galaxy), the Lotus Cortina and the perennial ‘underdog snapping at their heels’, Alec Issigonis’s Mini. Stewart’s choice of historic racer was not a conventional one – something straightforward like a Mini or Cortina. 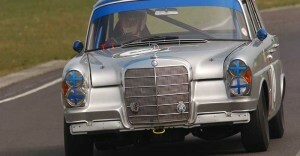 No … Stewart chose a Mercedes Benz 300 SE saloon, as raced in its heyday by the likes of Eugene Bohringer. The car was far from straightforward to prepare and several complex and challenging solutions had to be soundly engineered to handle the power output of the 3-litre straight six power plant, reliability and eliminating weight disadvantage (the car is big enough already!) being the key design parameters. 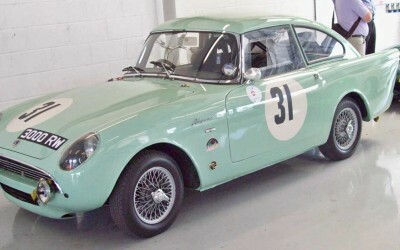 There is a wealth of motoring history wrapped up in the Clive Harrington’s eponymous Sunbeam Harrington Alpine. 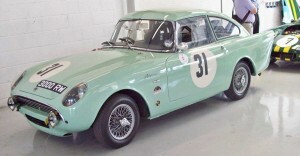 With unique bodywork, created under his father’s guidance at his family coachbuilding business, this humble little 1600 cc sports car averaged an amazing 91 mph to win the second most valuable prize in the 1961 Le Mans 24-hour race – probably the Sunbeam marque’s last great track success.